I have had this conversation a thousand times and I always fear that ‘Whereabouts?’ It’s quite hard to explain to a non-Spaniard where Extremadura is and quite often I end up drawing an invisible map of Spain in the air and pointing at some random location east of Portugal and west of Madrid. Those really keen on knowing exactly where this mysterious area of Spain is ask ‘What is the nearest airport?’ ‘What is the nearest big city?’ My replies ‘We do not an international airport’ and ‘Well, my hometown is about a 2-hour drive from Seville’ do not help much, as most of the times the usual points of reference for foreigners are Madrid, Barcelona, Ibiza or the tourist-packed resort destinations in Malaga coast. This is why I came up with Piggy Traveller — to generate curiosity and an interest to discover Extremadura and to show you the amazing spots waiting to be explored in this overlooked part of Spain. Travelling is often associated with faraway lands and exotic countries and we forget there are incredible places just round the corner. I love travelling everywhere I can, but now I am also determined to make the most of my trips back home to discover new places and re-discover places that I have already visited. I will be a traveller in my home region. And my travel companion will be Piggy, a fun black pig native of the Extremadura dehesa. There is no company, organisation or institution behind this blog. All the content is written by me and based on my own knowledge and travel experience. I don’t publish guest posts or accept third-party sponsored content proposals. So far, I’ve always payed for visiting, staying at and eating at the places I write about. If that ever changes, I’ll make sure to disclose it. In fact, I’ll include a disclosure in all destination-related, reviews and guide-type articles, even if I’ve paid for the whole thing. Transparency and disclosure all the way! I agree with the old saying ‘Any press is good press’, and that’s why I don’t write about topics that aren’t aligned with my personal values, no matter how popular they are (e.g. bullfighting). •The first travel blog in English about Extremadura written by an Extremaduran person. •First-hand information about towns and cities from a unique point of view. •A personal and honest opinion about the places I write about. •Culture and traditions-related information you will not find in travel guides. •Loads of inspiration for your trip to Extremadura. To organise your trip to Extremadura. I am not a travel agent or a tourist guide, so I will not be able to help you book your flights, tickets or accommodation. •English is not my native language. If you ever find a typo or grammar mistake in my articles, feel free to drop me a line and I will happily amend the text. If you have any comments or suggestions for Piggy Traveller, you can contact me on social media or by email (irene [at] piggytraveller.com). •I ocassionally include affiliate links in my articles. That means, I’ll receive a small commission, if you click and book through those links, at no extra cost for you. Affiliate links help me cover some of the costs of running this website without resorting to other more aggressive (and annoying for you) methods, such as banners or ads. If an article contains affiliate links, you’ll know, as it will be disclosed. My name is Irene Corchado Resmella and I'm the person behind Piggy Traveller. Born in Badajoz and raised in Alburquerque, Trujillo, Jaraíz de la Vera and Don Benito, I'm 100% Extremaduran. Curious about other languages and cultures since I can remember, I studied Translation and Interpreting in Granada and have lived so far in Estonia, Russia, Ireland, Latvia and the UK. 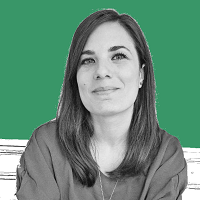 I arrived in the UK in 2011 and worked as a Spanish Content Editor for Hostelworld and HostelBookers in London for almost three years, while translating part-time. In September 2014 I moved to Oxford, made the jump to full-time freelancing and never looked back. Now I devote myself to translation, content writing and blogging on Piggy Traveller and ICR Translations, my professional website. I took my first flight at the age of 19. Destination: Tallinn. Apart from Spanish I can speak English, Russian, and Italian, and I can get by in French, too. I love Scottish and Irish accents, spy novels and seafood. I'm one of those one-in-a-million Spaniards that are always on time. I have this weird habit of always checking where everything I eat or use has been produced or made. For a more comprehensive overview on my profile and experience, visit my personal website Irene Corchado. •Culture Trip: 10 Things You Should Know About Extremadura. •momondo: 10 planes para tu próxima escapada rural a Extremadura. •HomeAway, Extremadura Turismo and Travel Bloggers Meeting: Valle del Jerte and La Vera chapters for the ebook El norte de Extremadura a través de sus blogueros. Have a look at my services and get in touch if you think I can help. Fields of specialisation: Legal, Marketing and Advertising, Travel and Hospitality. •I don’t publish guest posts. •I don’t publish third party sponsored content on the blog. •I don’t reply to unsolicited requests to link to websites or blogs. Any emails falling into the above-mentioned categories (or similar) will be ignored.